This field of inedible, human-sized corn was ironically intended to remind passersby of Ohio's diminishing agricultural commodity. 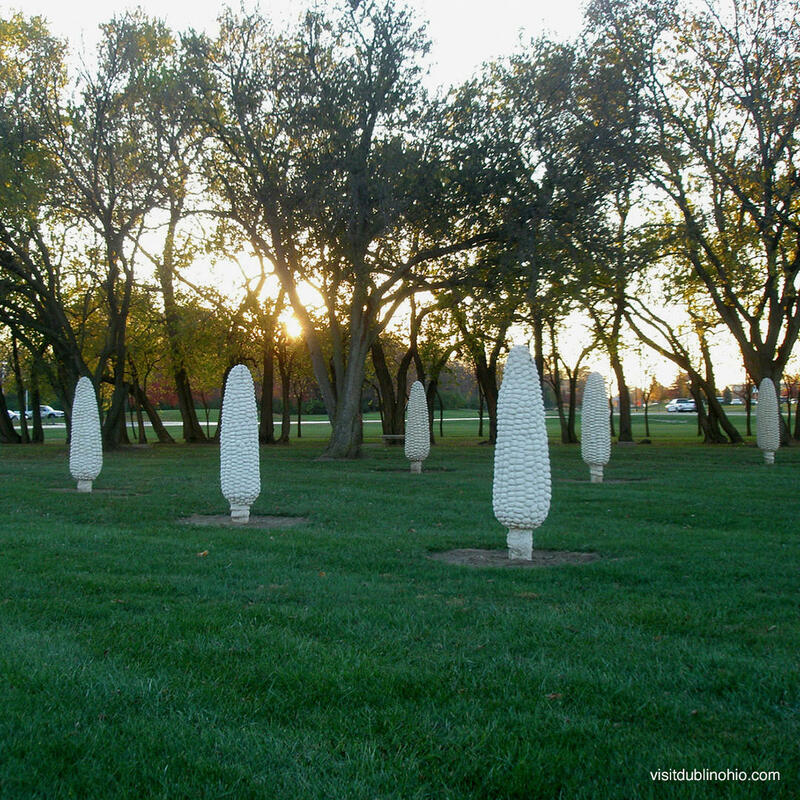 Once a corn field, this flat piece of land is now a publicly funded work of art consisting of 109 concrete ears of shucked corn. Each human-sized ear weighs roughly 1,500 pounds. They field pays homage to Sam Frantz who invented hybrid corn varieties.